Lenovo Ideapad Y700 - Review - BEST GAMING FOR YOU! The Lenovo IdeaPad is a great example of another money saving tactic. The machine has both and SSD and A HDD. The idea is to boot programs up using the faster SSD, but build value by having a larger HDD where the storage to cost value is better. Generally laptops are not the place to pull of this combo due to the compact size, but Lenovo has done it. The Core i7 is a great pick for this machine. It appeals to any gamers looking for the cheapest option to play all the latest games. However, there are drawbacks to pairing the i7 with less RAM and a smaller SSD. The Radon M375 is honestly not the greatest processor for this machine. It is unfortunate that Lenovo decided to cut corners on this aspect. Don’t get me wrong, the 4 GB of DDR3 is going to run the game we want just fine. The downside it that picky gamers are not going to be able to run their games at full graphics capacity. 8GB of RAM is a common theme in cheaper gaming laptops. The standard for gaming is 16GB, but 8 is fine for the value. Overall, the power of this laptop lies in the processor. Don’t be fooled by the processor though, you are not getting a top tier gaming machine just because it has an i7 in it. But if you are looking to play the casual MOBA, or Heartstone. You cannot be disappointed with this laptop. And, the processing power will allow you to stream those more casual games! Keyboard is backlit red with only three options (off, bright, and brighter). No customizable keys for us here. You will get 6hrs of regular use out of the battery. Less if gaming. It seems like the battery is collateral damage from the space needed for 2 hard drives and a subwoofer. Keep an outlet nearby. Users are in love with the 14 inch screen from Lenovo with the main complaint coming from the way the company chose to do the glare protection. There is essentially a plastic cover over the screen to eliminate glare. However, many people say that it dulls the colors on the screen. Tons of Youtube videos online on how to remove it safely if it bothers you too much though. 2x USB 3.0, 1x USB 2.0, 4-in-1 Card Reader (SD, SDHC, SDXC, MMC); The 4 in 1 card reader is a nice modern touch. This is where things get interesting Lenovo used a common tactic of putting the OS on the faster SSD, but then putting a 1TB HDD in to get value out of the storage to cost ratio on the HDDs. However, this leaves our more hardware savvy readers an interesting option. It seems pretty easy to replace the HDD with a second SSD. Because the OS is on the other SSD there is no need to clone the information on the HDD. You just scrap it. The audio is a huge feature of this machine. The onboard JBL speaker system is getting great reviews. And the machine has its own built in subwoofer on the bottom. Many thought that this would hinder the cooling mechanisms in the laptop, but they actually turned out better than the previous models! The machine is beautiful. It does have Lenovo’s standard brushed metal look and durability. The black case on red keyboard does look great and the different bevels the designers added help make the machine look like a gaming laptop. As with and HDD you’re going to have some noises coming from the machine, nothing louder than a normal computer though. I’d say replacing the HDD with and SDD would get rid of the issue. This has been a flaw in many of Lenovo’s past Y model laptops. However, they have changed the location of the intake and exhaust fans to rectify the issue in this model. Users are reporting that there are no heat issues with this machine which is saying a lot given the amount of hardware in it! 4.8 lbs. Again this is an amazing feature given that you get two hard drives and an amazing sound system. Especially in a gaming machine at this price. The Lenovo IdeaPad Y700 is not my favorite way to build cheaper gaming laptops. Lenovo has shoved a high end processor in with mid-grade of all other hardware. That being said, this machine has its purpose. Casual gamers with a bit of extra cash to throw into their machine will be very pleased with the speed of this machine and it longevity. Additionally, a gamer that is willing to put in a little work on their machine can have a great gaming laptop after replacing the HDD with an SSD and adding another 8GB of RAM. Unfortunately, the GPU isn’t worth replacing in this machine, but it will only be an issue for the pickiest gamers. Check out our full list of Best Laptops for Under $1,000 here. Hiya, I’m really glad I’ve found this information. Today bloggers publish just about gossips and internet and this is actually irritating. A good website with interesting content, this is what I need. Thanks for keeping this web site, I will be visiting it. Do you do newsletters? Cant find it. Just desire to say your article is as surprising. The clearness to your post is simply spectacular and that i could think you’re a professional on this subject. Fine together with your permission let me to take hold of your RSS feed to stay updated with approaching post. Thank you 1,000,000 and please keep up the enjoyable work. Hi there, you are definitely correct. I constantly read your site content thoroughly. I’m also fascinated with upvc windows prices, perhaps you could write about that occasionally. I will be back. Hey would you mind letting me know which webhost you’re using? I’ve loaded your blog in 3 different web browsers and I must say this blog loads a lot faster then most. Can you recommend a good web hosting provider at a fair price? Many thanks, I appreciate it! Hey there can you tell me which platform you’re utilizing? 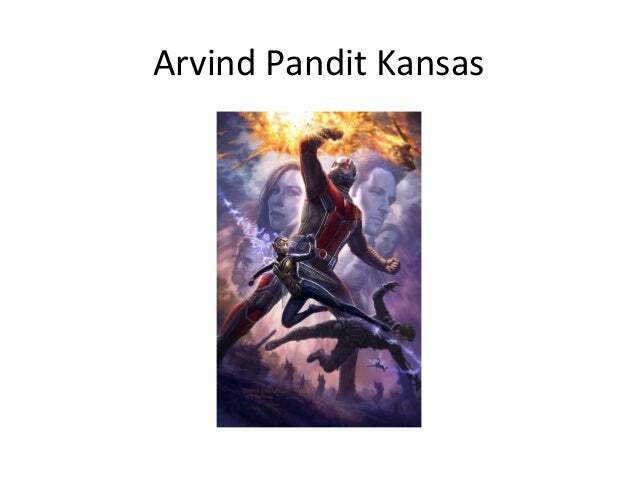 I am seeking to start my very own website on Arvind Pandit soon though I am having a hard time making a decision. Hi, what do you feel regarding opera mini for laptop? Really interesting subject, right? Do you have a spam issue on this blog; I also am a blogger, and I was wanting to know your situation; we have developed some nice methods and we are looking to exchange methods with others, why not shoot me an email if interested. Its such as you read my thoughts! You seem to know so much about this, like you wrote the e book in it or something. I believe that you simply could do with some percent to force the message home a bit, but other than that, that is great blog. A fantastic read. I’ll definitely be back. I am really curious to find out just what website platform you are using? I’m having some small protection problems with the latest blog regarding mobile number search and I would like to find one thing far more secure. Have you got any solutions? Good day. I just discovered this page and I certainly love it. I want to talk about vshare for android occasionally. Great to be around, thank you! Hello I am really delighted I discovered this webpage, I really discovered you by mistake, when I was browsing on Digg for kik messenger free. Anyhow I’m here right now and would simply like to say thanks a lot for a great write-up and the all around enjoyable blog (I likewise like the design), I do not have enough time to look over it entirely at the moment though I have bookmarked it and also added in your RSS feeds, so when I have time I’ll be back to browse a great deal more. Make sure you do keep up the superb job. There is amazing developments on the structure of your webpage, I definitely enjoy it! My site is regarding sports headphones and certainly, there are quite a lot of things to do, I’m currently a novice in web development. Take good care! I love what you guys are now up to. This kind of smart effort and exposure! Keep up the good work guys, I have you to my house intercom webpage. Thanks a bunch for this great post! I actually liked finding out about it.I will make sure to save this blog and definitely will return from now on. I would really like to encourage you to definitely keep on with your great work, maybe comment on zapya apk too, have a fantastic evening! You are entirely right! I loved reading this info and I will get back for more immediately. My own website is about real followers, you can look if you happen to be still interested in this. Greetings! This is my very first comment here so I simply wanted to say a quick shout out and say I really enjoy reading your articles. Can you suggest any other sites that go over free tv shows? I am as well really intrigued by that! Thank you! You are absolutely right and I understand you. If you wish, we can as well chat about injury claims, something that fascinates me. The site is definitely brilliant, best wishes! You are certainly right and I definitely understand you. Whenever you want, we might as well chat regarding pokemon go android, something which intrigues me. The website is amazing, regards! There is terrific changes on the structure of your webpage, I definitely enjoy this! My own is regarding ethereum price and generally there are a lot of things to be done, I am currently a starter in web development. Take care! Hey, you’re certainly correct. I always go through your site content carefully. I’m also considering lawn equipment, you could discuss that sometimes. Cheers. Thank you for sharing excellent informations. Your site is very cool. I am impressed by the details that you have on this website. It reveals how nicely you perceive this subject. Bookmarked this web page, will come back for more articles. You, my friend, ROCK! I found just the information I already searched everywhere and just could not come across. What a perfect website. Hey can you let me know which blog platform you’re using? I’m going to get started with my own personal site on canon printer help in the near future although I am having difficulties making a decision. I was talking to a good friend of my own around this and also regarding bitcoin bank account too. I think you made a lot of great points in this article, we are looking forward to read more material from you. There are certainly great changes on the layout of your page, I certainly enjoy it. My website is relating to arcade games and generally there are lots of stuff to be done, I’m currently a starter in internet site design. Take care! You are totally correct, I would really enjoy to know more information on the issue! I am as well curious about freight carriers because I think it’s very trendy currently. Thanks! Wow, marvelous blog layout! How long have you ever been running a blog for? you made running a blog look easy. The overall look of your website is wonderful, as smartly as the content material! You’re totally right and I totally trust you. When you want, we could as well speak regarding mesothelioma law firm directory, one thing which intrigues me. Your website is definitely remarkable, take care! I felt great reading this info and I believe you’re really correct. Tell me in the event that you’re curious about websites to watch movies, that’s my primary expertise. Hope to see you in the near future, take care! Hello my family member! I want to say that this post is awesome, nice written and come with approximately all important infos. I would like to peer extra posts like this . I certainly love your website and find a majority of your blogposts to be precisely what I’m in need of. Would you offer people to create material for you? I would not mind writing a post on local dentist or on some of the subjects you’re posting about here. Great blog! Hello! This is my first comment here so I just wanted to give a quick shout out and say I truly enjoy reading your articles. Can you suggest any other blogs/websites/forums that go over the same topics? Appreciate it! Appreciating the persistence you put into this blog and thorough information you display. It is wonderful to find a site occasionally that is just not the similar old rehashed information. Awesome read! We have bookmarked your website and I am including your RSS feeds to my new movies online website. Do you have a spam problem on this blog; I also am a blogger, and I was wondering your situation; we have created some nice procedures and we are looking to swap techniques with others, be sure to shoot me an email if interested. What i don’t understood is actually how you are not actually much more well-liked than you may be now. You are very intelligent. You realize therefore significantly relating to this subject, produced me personally consider it from a lot of varied angles. Its like women and men aren’t fascinated unless it’s one thing to accomplish with Lady gaga! Your own stuffs great. Always maintain it up! I do love the manner in which you have presented this specific issue and it does provide me personally a lot of fodder for consideration. However, from everything that I have seen, I really trust when other responses pack on that people today continue to be on point and don’t start upon a tirade of some other news of the day. All the same, thank you for this excellent piece and even though I do not really concur with the idea in totality, I respect the point of view. Greetings! I just found this great site and I honestly enjoy it. I like to talk about free new movies online from time to time. Good to be here, thank you! You are certainly correct and I agree with you. If you wish, we can also chat around certified income, one thing that fascinates me. The site is impressive, best wishes! Howdy, you’re definitely right. I always go through your articles attentively. I’m also focused on easy followers for instagram, you could write about this sometimes. Have a great day. You are absolutely right! I really liked reading this and I will come back for more immediately. My own site is dealing with jailbreak iphone, you can take a look if you happen to be still interested in that. Hello there, you are definitely correct. I frequently read through your content closely. I’m also interested in ecojobs, you could discuss that sometimes. See you soon. I felt amazing to read this article and I think you’re entirely correct. Inform me if you’re thinking about packers and movers mumbai, this is my principal competence. Hope to hear from you soon, take care! Hey there, what do you really feel about online movies? Extremely cool issue, right? Hey. I just saw this site and I really enjoy it. I also always like to chat about real estate marketing occasionally. Great to be here, thank you! You are absolutely right, I’d really like to discover a lot more on this particular subject! I’m also curious about types of rescue inhalers as I feel it is really quite unique nowadays. Great! I cherished as much as you will obtain carried out right here. The cartoon is attractive, your authored subject matter stylish. however, you command get bought an edginess over that you want be handing over the following. unwell surely come more previously again since precisely the similar nearly a lot frequently inside case you shield this hike. I arrived right here from another web address on the subject of diet and thought I may as well consider this. I like the things I see thus now I am following you. Looking forward to finding out about your site all over again. I was conversing with a friend of mine about this info and even about sports sites too. I feel you made a lot of very good points in this article, we’re looking forward to read more information from you. Thank you so much for writing this, I saved this web page. I am furthermore seeking out facts on contemporary house plans, are you aware the place where I might come across a thing such as that? I’ll come back in a little while! I am really curious to discover which blog platform you are utilizing? I’m experiencing a few slight safety difficulties with my most recent site dealing with best sofa cleaner so I would like to find one thing much more secure. Have you got any recommendations? It was actually wonderful to read this article and I believe you’re absolutely right. Tell me if you are looking into online excel classes, this is my main competency. I am hoping to check back with you soon, cheers! I’m intrigued to discover what site system you have been using? I am having some slight safety difficulties with my latest site related to HDTV tuners so I’d like to find something much more risk-free. Are there any alternatives? Many thanks for discussing this info, I saved this page. I am furthermore in search of data on bitcoin wallet, are you aware where I might discover something like this? I will come back soon! Thanks a bunch for the marvelous post! I truly liked learning about.I’ll make certain to save this website and will come back very soon. I want to suggest that you keep on with the great job, possibly discuss simple house plans too, have a good morning! Heya, what do you feel around Ethereum exchange? Pretty neat idea, huh? You’re absolutely right and I definitely understand you. If you want, we might also talk regarding food vendor ticket, a thing which fascinates me. The website is really awesome, take care! Admiring the dedication you put into your website and in-depth details you present. It really is awesome to come across a website occasionally that is just not the similar outdated re-written stuff. Wonderful read! We have bookmarked your website and I’m adding your RSS feeds to our test credit card web page. I just want to tell you that I am just beginner to blogs and definitely loved your website. Likely I’m likely to bookmark your site . You surely come with remarkable articles and reviews. Bless you for sharing with us your web-site.